One week ago, The Point voted in the special senate election that elected Ed Markey. Getting out the vote is a always a big effort that includes door knocking and coordinating rides for those lacking transportation; this was the big topic of discussion the night before the vote at the Point Neighborhood Association meeting. One thing that caught my ear was talk about changing the voting location. I am lucky that my voting location is pretty much en route to the train station. When I looked at where Point residents go to vote, it is truly bizarre that it is not just outside the neighborhood boundaries, but more than a mile away. This is not so far, except when you consider the many that need to walk, and may not be able to easily walk so far. This situation is not unique to the Point neighborhood, but as walkability becomes increasingly desirable for many aspects of life’s necessities, voting should be at the top. How much easier would getting out the vote be if the location was around the corner for as many residents as possible. 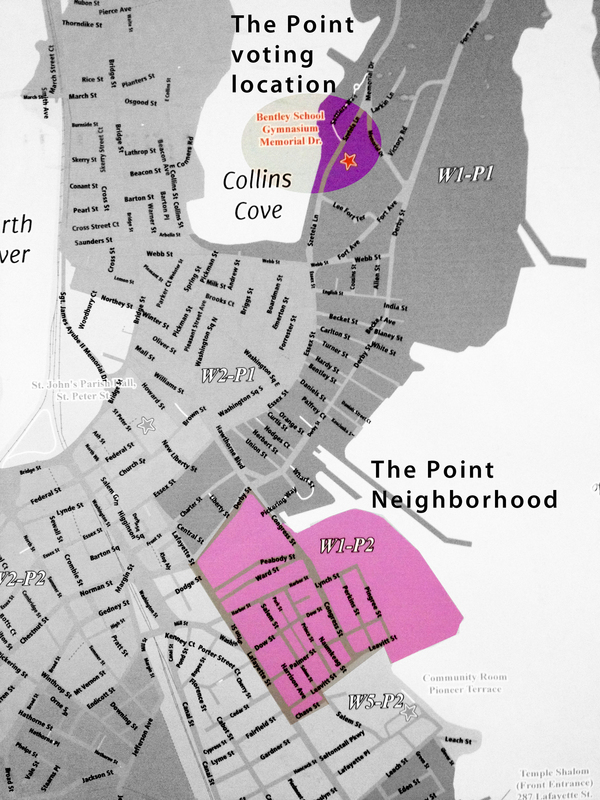 It’s a good thing that talks are currently underway to change the voting location for The Point to the neighborhood itself. This entry was posted in Participate, Salem MA, The Point and tagged participation, voting, voting access, voting location by jellybeancity. Bookmark the permalink.